Community Helper Identification: Who Am I? Review the jobs of community helpers with this worksheet that gives your student a description of a job and asks them to identify the community helper. 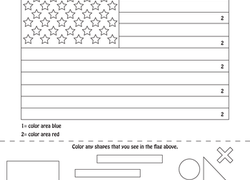 This simple colour-by-number page teaches kids to recognise the United States flag. Have your child learn about grocers and the difference between fruits, vegetables, and meat by completing this worksheet. Give your child a love of reading with this worksheet that allows them to draw their favorite book and a picture of themselves at the library! Help your child review the roles of different community helpers with this worksheet that asks them to figure out what workers need to do their jobs. 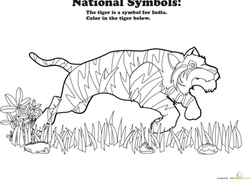 Bring social studies learning into coloring time with this national animal coloring sheet featuring the tiger, the national animal of India. Test your student's understanding of what professionals need in their jobs with this worksheet! Have your child learn the duties of a chef with this delicious coloring page. Your students will learn about what farmers do and practise pattern identification! Are your kids wary of getting their hair cut? This worksheet makes it into a fun activity of before and after pictures. Encourage your preschooler to build a great sense of ME with this fun worksheet, all about her home. 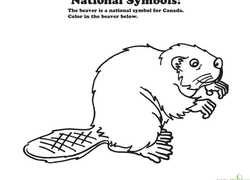 Teach your child a little about our neighbors up north with this social studies coloring sheet featuring the beaver, the national animal of Canada. 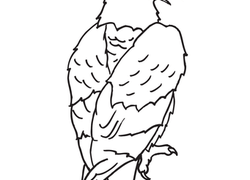 Teach your child about the national animal of the USA with this coloring sheet, which features the regal Bald Eagle. Enjoy a patriotic coloring page for you and your child to share! While you colour, tell him a bit about the Liberty Bell, a famous U.S. symbol. Here is a patriotic coloring page for you and your child to share! While you colour, let him know that this symbol is the seal of our country. What is Different on the Construction Sites? Your little builder will love this coloring page featuring two different construction sites. Help your child learn about shopping and cashiers with this coloring page.